The Purva Bhadrapada Nakshatra, is described as the `one who possesses happy feet`. Spanning the cosmic cusp from Aquarius to Pisces; herein lies the gateway to the last zodiac sign. 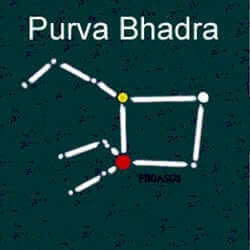 Purva Bhadrapada is embodied in the cosmos by 2 bright stars in the front legs of the winged stallion, Pegasus. It is told that the Vedic astrologers viewed the winged one as death bed. As such, its symbol is similar to the front half of a funeral cot. 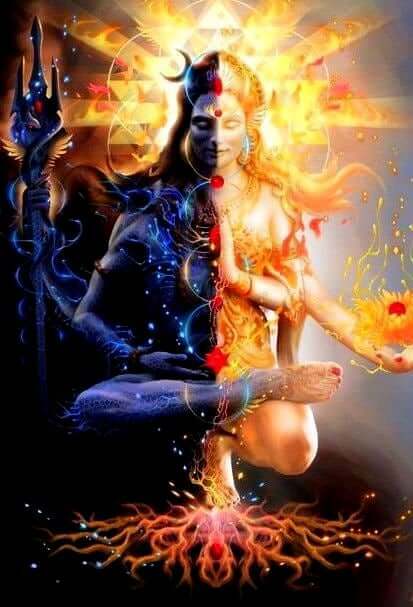 Rudra reigns this chaotic region of the Universe where it is said Karmic dues must be paid. The natives of Purva bhadra Nakshatra are open-minded humanitarians. Born into the last zodiac sign, they are wise individuals who seek to share their innate sense of `knowing` to counsel their friends and loved ones. These are kind and genuine people with big hearts. They tend to have a gentle approach and may seem somewhat fragile upon first inspection. It generally won`t take long to see the aggressive side of their personality, they have an opinion on everything and hold high expectations. While the native of Purva Bhadra birth star is typically of average height and stature, their presence is engaging and draws people to them. They tend to have distinct cheek bones and full lips. People of high morals, the Poorva Bhadra is a role-model for friends, family and the community. They need to be mindful not to let their temper get the best of them. Highly in tune with the Universal rhythm, they are often very spiritual. Poorva Bhadrapada natives are independent people who become self-sufficient earlier than most of their peers. Their calm presence and sharp intellect serve them well in their careers and they are capable of great professional achievements. They are known to excel in business, education, finance, government, entertainment and astronomy. These people typically have excellent relationships with their father. Sadly, their mothers are often absent from their lives. As such, they have difficulty trusting and may never take nuptial vows. Unfortunately, Purva Bhadra people are known to have ongoing health issues such as paralysis and diabetes.